Weatherseal brings the most qualified flavour of French windows in the market with a twist of high strength and safety coefficient. French windows are a pair of casement windows with some tweaking! These windows open in the middle reaches down to the floor and placed strategically on an exterior wall! The French windows at Weatherseal come with four locking mechanism to ensure extra safety. The French windows at Weatherseal are made from robust and high-quality uPVC which expands the longevity and durability of these windows. Additionally, these windows are soundproof, dustproof and ensure maximum opening. These windows can be installed in the various parts of the house namely living rooms, balconies and kitchen. To bring extra comfort to the customers, these French windows are available in 3 attractive colours! Amongst most, the popular and the best amongst the breed of windows is the world-renowned French Windows, known for its signature design all across the world. These Windows have made an impact on not just the homeowners but also the architects who are quick to suggest French Windows for structures of any kind. We at Weatherseal offer a most qualified flavor of French Windows in the form of a uPVC version of French Windows. 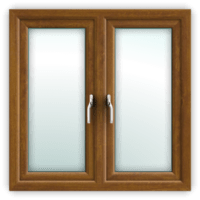 Being the most opted option for good illumination and easy operation, our offerings in this segment of Windows variant has added to the durability and technicality in the choices of French Windows. Weatherseal French windows have four locking mechanisms that ensure safety and security to the highest limits of its kind. Another Complimenting provision of the Weatherseal offering to French windows is the extra protective and strong Glass that is installed on our product. The Glass is made of superior quality and does qualify to be amongst the list unbreakable glass compositions. Weatherseal French windows are made up of environment-friendly uPVC material that is robust and durable for many years into its usage. Our offerings into the French doors have a high coefficient in Strength and Safety while safeguarding the aesthetics of the windows to its traditional best. The ventilation through these French windows from Weatherseal help keeps a Relaxing Atmosphere. We at Weatherseal value greatly an individual’s choice of colors and provide many variants of colors to ensure your home looks as beautiful as you intend them to be. Our windows have been designed by designers of international reputation ensuring that every window that is installed at a home compliment the interiors of the home in a perfectly suiting manner. Flexible and Easy opening mechanism. Relaxing environment with its Simple yet attractive designs. Weatherseal is bringing French style to your home with french windows. French windows give you 100% opening to your window space. French windows are the right choice for the customer to get the openable space as per his requirement like one shutter opening or two shutters opening. French windows come with the inward and outward opening. Weatherseal offers you soundproof and maintenance free windows in the French model. French window comes with tower bolt mechanism to fulfill customer requirements in the aspect of opening. French windows are strength enriched with 1.5 mm GI steel and co-extruded gasket. French windows are the right choice for living area, entrance area, bedroom etc. Weatherseal offers you 20 years of warranty to all the windows. We offer you 4 color variants. French window comes with multiple locking mechanisms to increase the security to your home. French windows are the right choice for your home to protect your home from bad weather and noise. Weatherseal offers you different handles for French windows like golden handle, double access handle and single access handle etc. French windows are able to hold the glass 5mm thickness to 44mm thickness. Weather compliant for all seasons. Dust and Waterproof with extra drain slots to stop rainwater from seeping into your homes. High security through thick and certified glass packaging. 4 chambers for high thermal and acoustic insulation. 60mm profile width for better grip and higher strength. >2.5mm profile wall thickness for strength and effective geometry. G.I reinforcement to provide extra strength and avoid rattling and whistling sound.